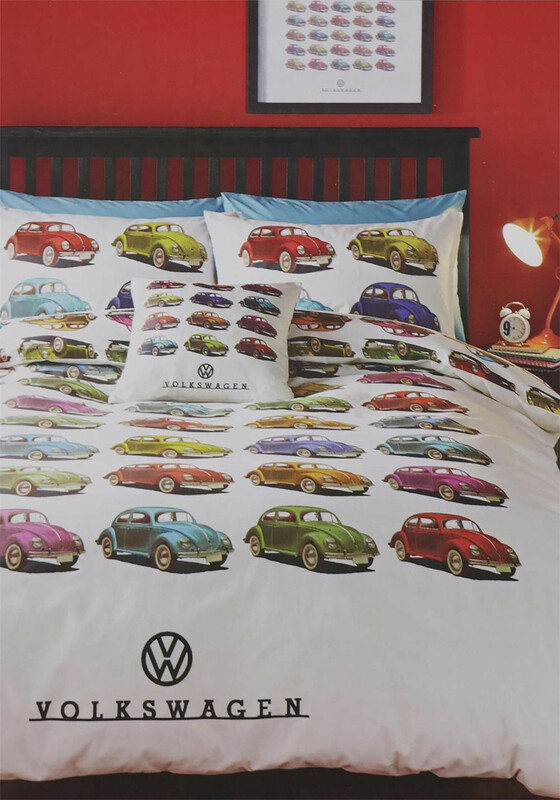 This Beetle duvet set features one of Volkswagen’s most iconic and recognisable cars. Printed in neat rows this novelty set features bright reds, greens, purples and blues. 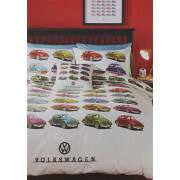 This duvet set is stamped with Volkswagen branded logo, comprises of a duvet set and pillowcase(s), is made from 52% polyester, 48% cotton and is machine washable. This set is the perfect colourful addition to any bedroom.